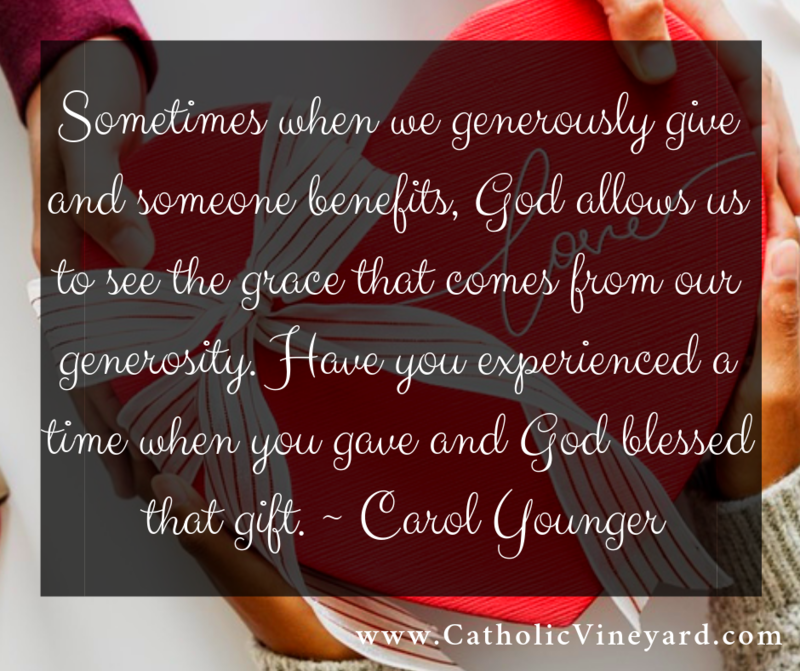 God gives us special gifts to share with others, like sewing, baking, teaching, etc. What I’ve found is God goes deeper into those main skills, & multiplies them. For example, I started my sewing business 6 years ago, doing basic alterations and sewing clothes. Now, I can make cushion covers, know more detail about different kinds of zippers, and how to properly install them, and much more. Even in college, I discovered many skills that I didn’t even know I had. I mastered many skills, and I thought I was done, when God had blessed me with more new skills to work on. It’s amazing on how one can grow in their skills and by using them to help others, in generosity. What amazing insight. It makes you want to really take a good look at your skill set and see what else God may be calling you to do with it, and wonder how he might increase those skills if you ask.